Here we are beginning Week 2 of 2010! How are you doing? Are you still giddy and excited about the prospect of 2010? Or are you feeling overwhelmed and back into your regular routine? 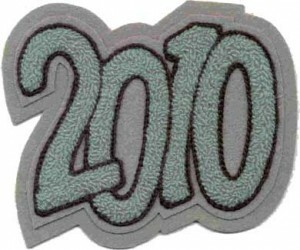 Do you remember your goals for 2010? Or are they tucked away in a drawer? The first week of 2010 was very productive for me, and the second week is moving along at the same pace (yes, even though it’s only Monday — you should see the check-offs!). Organization and time management are HUGE when trying to stay focused and move toward your goals. For my time management, I use time boxing. Click here to read my previous post on time boxing. As a virtual assistant, I not only have my own goals and changes I want to implement in 2010, but I had several clients also wanting to make changes in their business. For me, that means re-designing websites, moving information from one CRM to another, more hours of work as I create and proof ezines, and helping my clients move towards their goals. A key thing to making sure you stay on track is to check in with yourself and see if there are some practices and procedures you’ve let fall to the side. I know during 2009 I’d go for weeks and not utilize my time boxing. Then…it would hit me. I’m overwhelmed, I’m forgetting things. What happened? Yep, I wasn’t utilizing my procedures the way I should have been, so then I’d start time boxing again. And I’d do good for several weeks and then slowly but surely the next thing I knew I was forgetting my procedures yet again. One thing I’ve committed myself to do for 2010 is examine myself weekly. What am I doing right? What do I need to do better? What have I forgotten? I encourage you to do the same!! Good luck! !